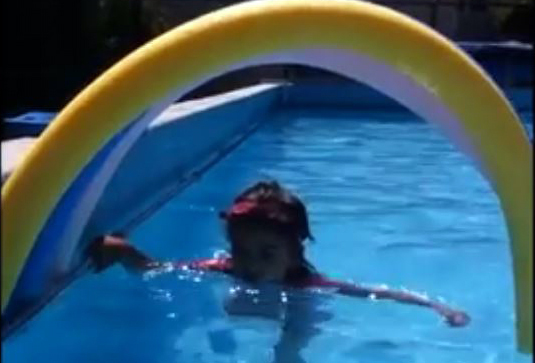 Using your pool noodles to make a fun rainbow tunnel is great for developing confidence, learning to blow bubbles, floating through for small groups as well as large. The activity can progressively be made harder by decreasing the height of the tunnel. 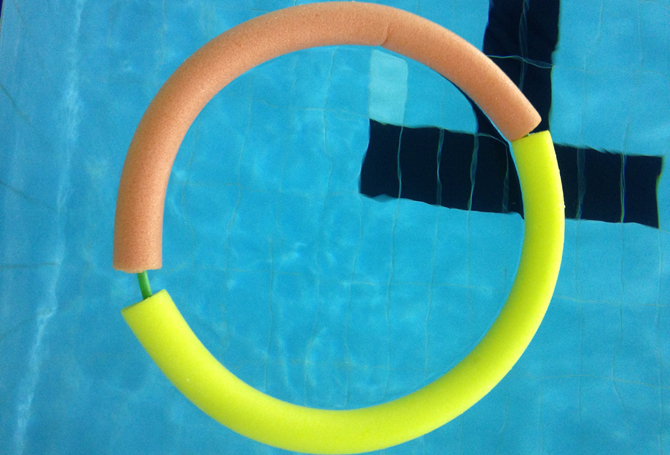 A noodle hoop is a great piece of equipment to have in your toolbox. 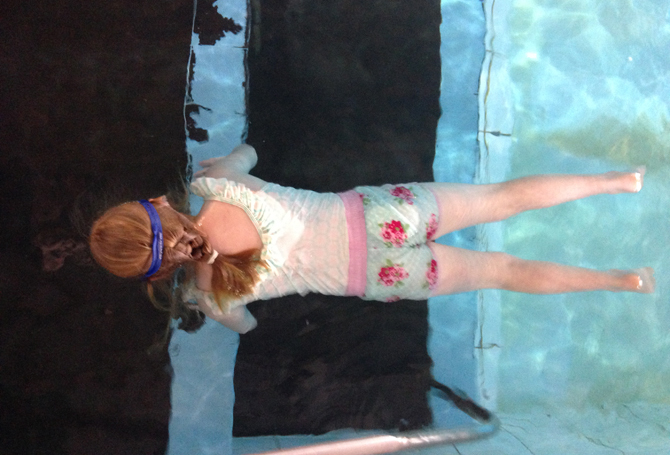 It is easier for swimmers to see on top of the water so is great for diving into or up through. 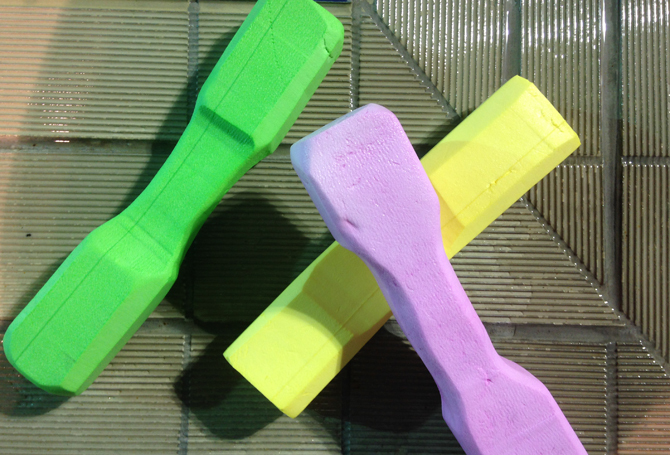 Check out these hand carved barbells from QSS AC Baths Swim School. They were carved from old flutter boards that were to be thrown out, a great way to reuse equipment! The barbells work well for walking through the water, learning to float or wherever else your swimmers may need support. 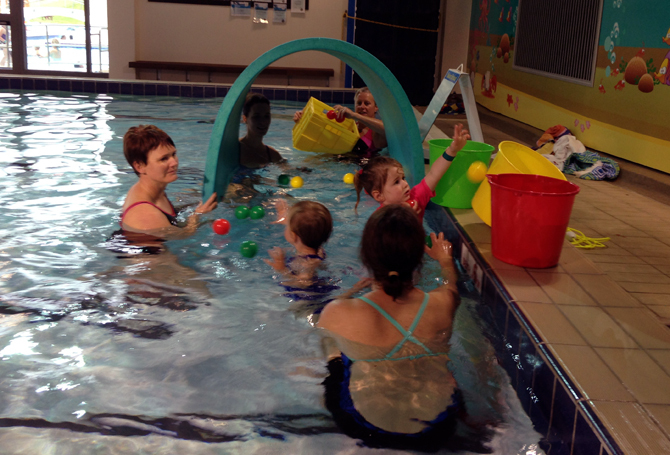 Looking to create separate teaching spaces in your pool? 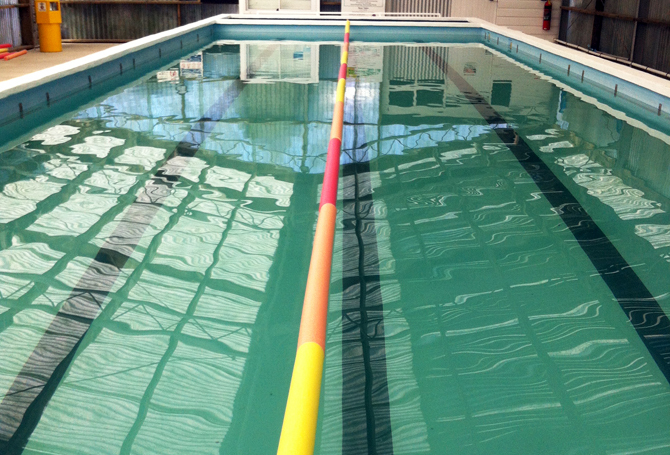 Try making your own lane rope from noodles, thread the rope through the middle and tie at the end of the pool. Sometimes organising flippers can be a bit of a hassle. 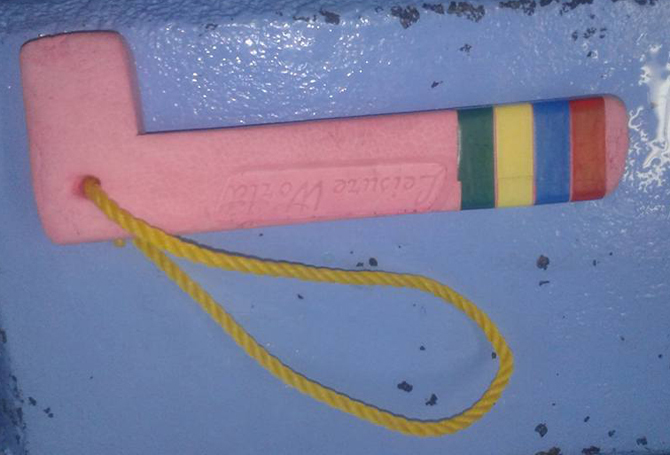 This tool is a quick and easy way to measure what size flippers your swimmers need. Place your heel in the groove and see what colour bar your foot matches up to – then find the flippers with the same colour strip of tape and you’re away! Activities to do with the rail/pool edge or step in the pool; Hold on to blow bubbles, walk around the pool to explore, monkey walk, hold & float/kick with face in water, glide to it, practice freestyle breathing technique. 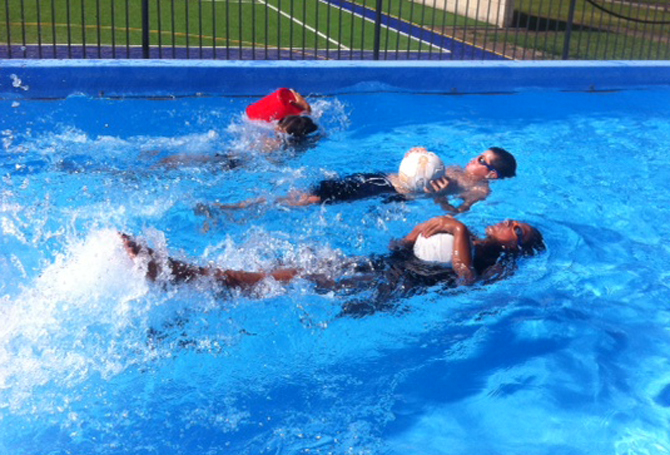 Experiment with everyday pieces of equipment as floatation devices – equipment such as balls, buckets chilly bins may one day save your life. Also great to introduce into everyday lessons for use with kicking for something different. 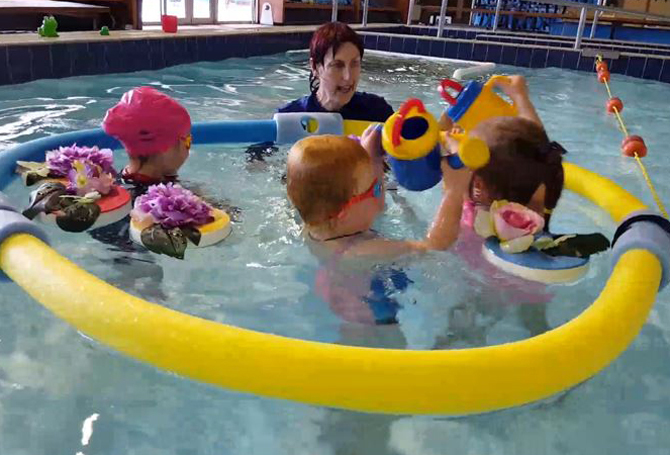 There are lots of activities to do with a mat for all ages; make waves and swim through, kicking on top front and back, kicking underneath on back, surf on it, row, row, row your boat, sausage rolls, tunnels, run & jump, swim under length/width, fishies in the water, humpty dumpty, sink it. What else can you add?